Allegro.AI is a deep learning computer vision platform, which provides a complete product lifecycle management solution for AI development & production, starting with computer vision. The company’s platform simplifies the process of developing and managing artificial intelligence (AI)-powered solutions – such as autonomous vehicles, drones, security, logistics and others. The company is headquartered in Tel Aviv, Israel. Seasoned business and product leader with a two decade long track record in leading and driving execution of large scale, complex products in a multitude of disciplines. 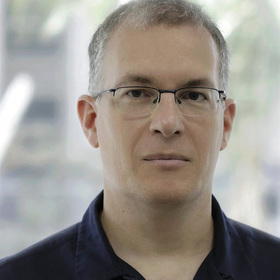 Prior to Allegro, Nir was a veteran leader at Google, where he held various leadership positions for ten years. Most recently Nir was the GM of BebaPay, Google – an independent cross-functional payments group within Google. Prior to that, Nir served as Google’s EMEA Search Ads Product lead, responsible for the strategy and product roadmap of a >$10B annual business for Google at the time. Leading up to those positions, Nir held various other leadership roles, including, amongst other things, at Google Analytics, Docs, Mobile and Cloud. Nir co-led the creation of Google’s voice products (today Google Voice Search, Google Now, etc). Nir holds a B.Sc. in Software Engineering from the IIT (“Technion”), an LL.B. (Law) degree from Haifa University and an MBA from the Wharton School of Business at the University of Pennsylvania..